This towel says it all! 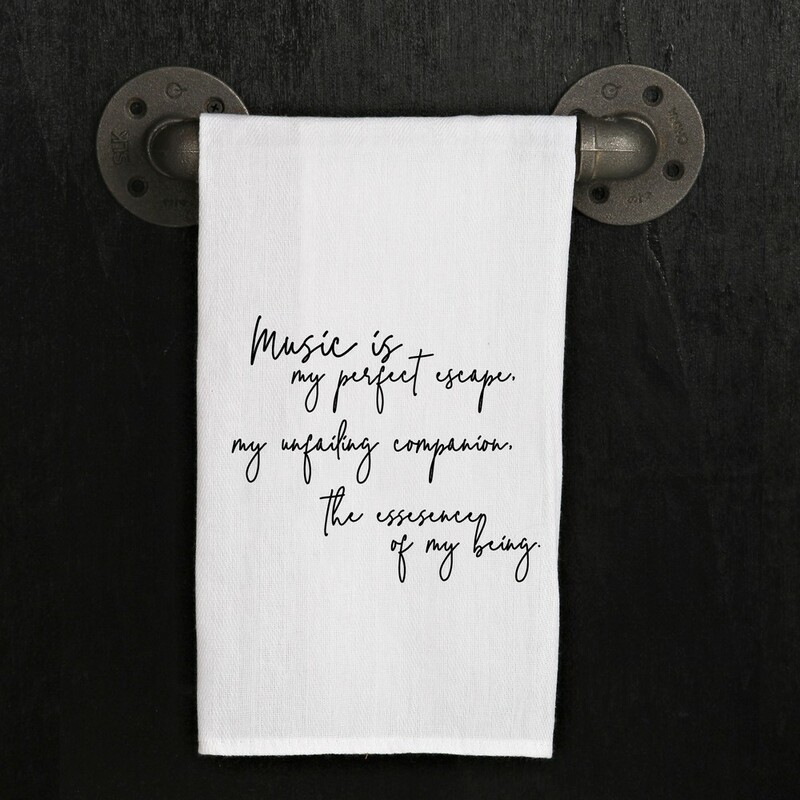 This versatile towel is perfect for your kitchen or bathroom. 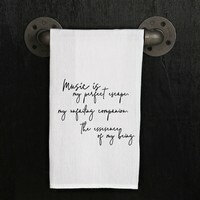 Each towel is 100% cotton, printed by hand, and gets softer with each wash.
Quote: "Music is my perfect escape. My unfailing companion. The essence of my being." o	This item requires a shipping quote. -Please add it to your cart to have a customer service representative contact you with an exact cost.